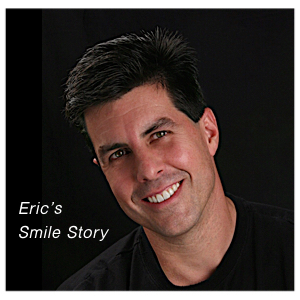 CAD/CAM restorative dentistry is a revolutionary way to restore damaged or broken teeth and often in one appointment. As one of the leading clinician and educator’s in the world on CAD/CAM dentistry, Dr. Klim is pleased to offer his patients CEREC restoration services—an advanced method of creating precisely-designed, color-matched and highly resilient ceramic restorations right in our practice. From simple fillings, to full crowns, bridges, implant restored crowns and porcelain veneers, CAD/CAM dentistry is setting a new standard for restorative dentistry and can often be accomplished in a single appointment. How does CAD/CAM dentistry work? After examining the tooth and determining the best restorative course of treatment. When apical for CAD/CAM treatment, the diagnosed tooth will be prepared by removing diseased and defective tooth areas and yet preserving the maximum amount of tooth structure. Using the CEREC system, an Omnicam optical impression is taken in the mouth using a 3D video streaming camera. In our office, digital imaging now replaces the physical impression required in traditional procedures. The Sirona high-tech CAD/CAM software provides precise computer designing for the detail needed for a very functional, attractive, and durable restoration. One of Dr. Klim’s passion for 3D dentistry is that it allows him to customize the exact shape and aesthetics of the restoration to fit the particular needs of the damaged tooth to be restored. Once the restoration has been designed on the computer, the design specifications are then sent to our on-site milling machines to create the CAD/CAM restoration. In a matter of minutes, the hybrid ceramic is color-matched and ready for placement. The new restoration is then custom fitted, finished and cemented for permanence. The materials we use such as e.max, at ten years of empirical reviews, is rivaling and has now surpassed the historical longevity gold standard. In addition, e.max provides natural functional wear and beauty. What advantages does CEREC technology have for our patients? Since Dr. Klim is able to design and fabricate the restoration immediately rather than sending an impression to a laboratory, the patient will often not need to wear a temporary and return for a second appointment. With Dr. Klim in full control of restorative design and finishing, the restorations will each be customized for the mouth…one thing Dr. Klim is very good at! Metal-free dentistry. Health minded people are increasingly becoming concerned with metal in their mouth (particularly mercury). A CAD/CAM tooth restoration isn’t just convenient; it is also the healthy biocompatible choice. Years ago, dentists had few options when it came to repairing decayed and damaged teeth other than using amalgam (mercury), gold, or a metal/ceramic combo crown. With CAD/CAM dentistry and materials, Dr. Klim uses sturdy, tooth colored hybrid strong ceramic materials to restore teeth to their natural strength, beauty, and function. For placement, the CAD/CAM restorations are bonded to the tooth so Dr. Klim can save as much healthy tooth structure as possible while providing the restored tooth with a dental restoration that actually strengthens the restored tooth. The CEREC enamel-like material is biocompatible with the soft tissues in the mouth and provides a high-grade, anti-abrasive and plaque-resistant finish. Patient desired to have broken teeth repaired and remaining mercury fillings replaced to prevent the risk of further breaking more teeth.